I don’t make new year resolutions as they would only get broken. Instead, in the first few days of the new year I reflect on the old one, try to work out what was wrong with it and how to avoid the same old mistakes. Positive thinking may be the answer and it is what I’m aiming at this year. As a child I used to read the Pollyanna books about an orphan who goes to live with a stern aunt and teaches the whole community her game, which is to find something good or positive in everything. Take the other day, I was weighing out sweets for a customer and the bottom of the bag gave way. No problem, these were wrapped sweets. The customer before had wanted bubblegum millions, unwrapped tiny balls of candy,they would had been all over the shop if their bag had been defective. The shop is very quiet at the moment for various reasons, cold weather, post Christmas lack of cash,economic situation created by bankers. When we first opened the shop it was quiet so I painted in the afternoon but the last few years its been far too busy and I’ve hardly picked up a brush. I was concerned that it would take some time getting back into it but no, so far I’ve painted three dogs on a beach for a customer and a portrait of my sisters’ horse. I have started a landscape of Robin Hoods Bay which should be finished by the end of the week. So I have turned a negative situation, the lack of footfall in the shop ,into a positive one rediscovering the joy of watercolour painting. An article in the Daily Mail this am tells of Eric Whittle, 55yrs old, a Health & Safety Executive, driving along the M40 in Kent who was so impressed with a cloud formation that he took some pictures of it with his mobile phone. Judging by the photo in the paper he was in the middle lane and presumingly moving. My first thought is has he been arrested and if not when will he be arrested? On Sunday we went to a well known DIY store for a browse. In the gardening section there was a collection of very sad plants hoping to be rescued. It was like being at an animal rescue centre. You would love to take them all home but have to be strong. In the end we got a tumbling tomato plant, a bushy tomato plant and some parsley all for less than £2.70p. They had a good feed as soon as we got home and have already picked up. If anyone needed to stock up on plants or was starting a new garden it is a good time to do it cheaply. Our new hobby for 2010 is tracing Keith’s ancestry. He was born in Horsforth and was convinced that all his family had never strayed for this part of West Yorkshire. So whilst we waited for the arrival of a copy of Keith’s father’s birth certificate we visited Lawnswood Cemetery and spent a couple of Sundays trawling round graveyards in Horsforth, Holbeck and Hunslet. Only to find on the arrival on the certificate that Keith’s grandfather was born at Raskelf just nine miles up the road from Boroughbridge. We discovered at Raskelf church yard a grave that we think is Keith’s great great grandfather but could not get close to it as it was being guarded by some very nice rare breed sheep enclosed by a live electric fence. Over twenty years ago I started breeding from Minskip Miss my ex racehorse who was placed once at three years old. She bred a nice show hack Minskip Millenium who won at county level in hand and was fourth at the Royal International. Three of Minskip Miss’s foals got on to the racetrack. Minskip Merlin was placed second twice as a two year old and we think would have won a race or two at three but sadly broke his leg on the gallops. 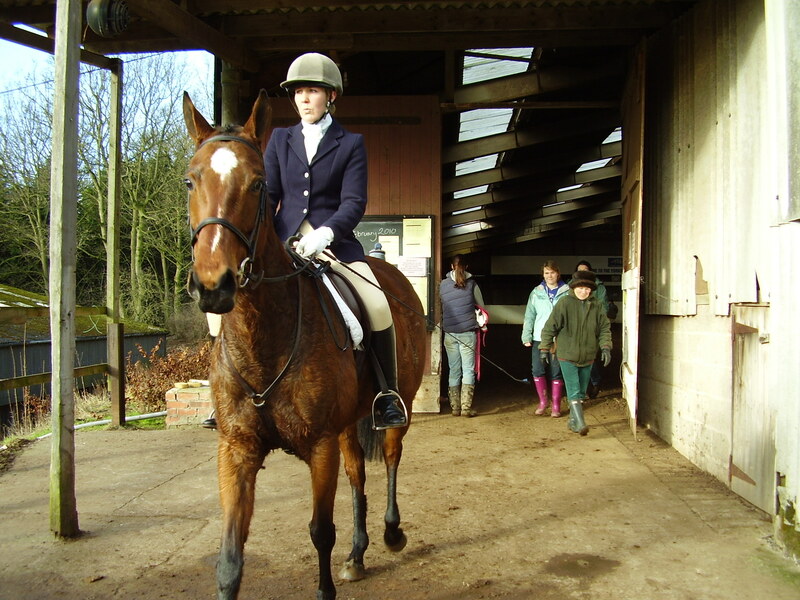 He was a lovely horse with a super temperament and I still miss him. His half sister, Horsefair Dancer (Gypsy) was placed as a two year old but suffered an accident while out in the field and was retired from racing. She was brought back to health and with time and patience has been retrained. She is now owned by my sister, Jane. Last Sunday Jane entered her in her first dressage competition, she was ridden by Kath Barley who has helped with the retraining and also teaches Jane and me. We all just hoped that she would behave and our wildest expectations were met when not only did she behave but she won her class! Gypsy’s half sister, Kannie Annie whose claim to fame on the racecourse was never to beat another horse is her field companion and I shall start her retraining this winter. She is very laid back so hopefully can follow Gypsy and become a dressage horse. A Rare Treat – a weekend away! Keith and I do not get the opportunity for a weekend away often but on Saturday Elaine and Rebecca, our part time staff looked after the shop so we could go to our niece, Sarah’s wedding to fiancee Stuart. It was a lovely service, Sarah, the bride looked beautiful and the reception was outstanding. The reception was held at Prestwold Hall, a fabulous setting. The meal was of the highest standard and the staff were friendly and professional. I would recommend it to anyone. We thoroughly enjoyed the weekend and wish Sarah and Stuart a long and happy future together. An article in The Press today written by Mike Laycock, Chief Reporter, reveals that York confectioner, Nestle has launched Fairtrade Kit Kats which will benefit over 6,000 cocoa farmers on the Ivory Coast. They will receive additional payments to invest in community or business projects of their own choice such as improving healthcare and schooling.